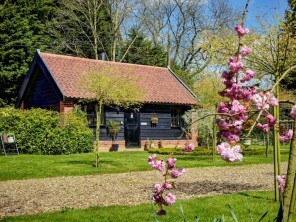 In the heart of a wooded meadow beside a tranquil pond in rural Suffolk you will find Gipping Barn, a cosy quirky cottage with antique furnishings, a unique indoor-outdoor garden room and a luxurious private hot tub. 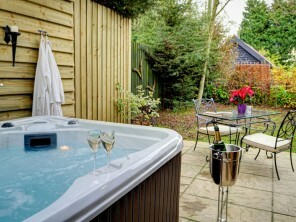 Bottle of champagne and a box of handmade Suffolk chocolates with every booking! 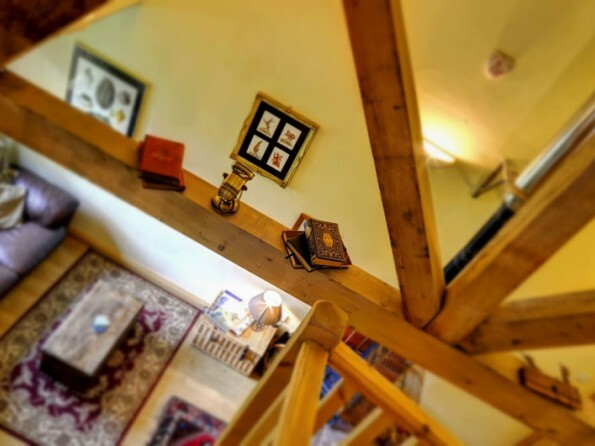 With its high vaulted ceilings, exposed oak beams, winding handmade timber staircase and log fire, Gipping Barn is beautifully traditional and rustic, and yet it has everything you might want from a modern day home-from-home. 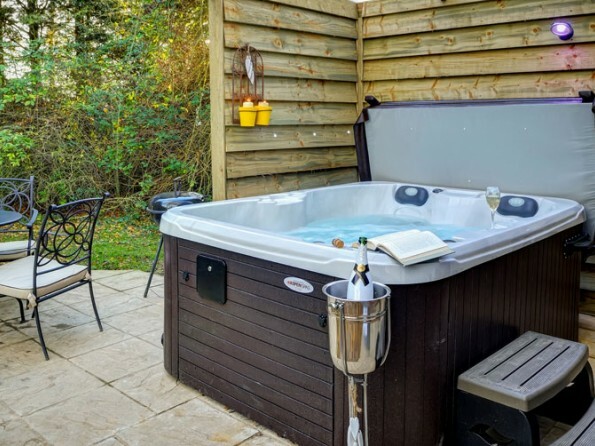 The accommodation itself is delightful, the garden room with its hot tub is the perfect spot after a day of exploring, and the surrounding countryside is full of country lanes, village pubs and wildlife. 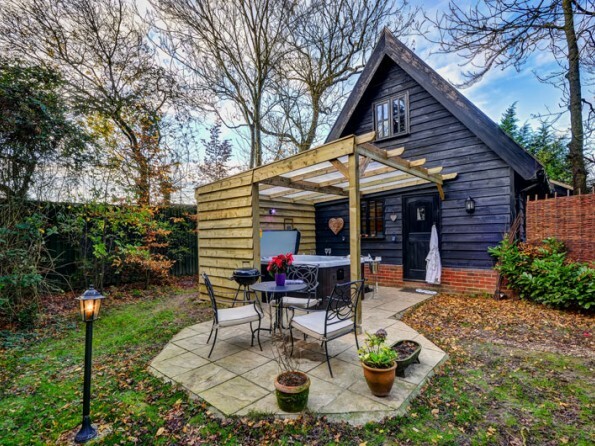 This is a romantic little bolthole in a peaceful rural location. 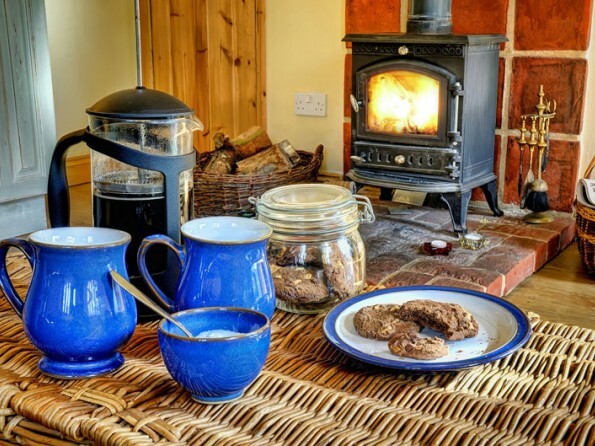 Rural Suffolk is a haven of country lanes, clear skies and wildlife so it’s the perfect destination when you want to escape the hustle and bustle. 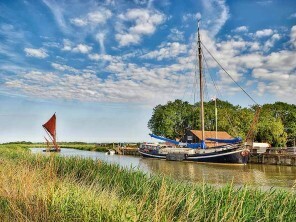 Walking and cycling are popular here, and activities like sailing, windsurfing and kayaking are available both on and offshore, or if you prefer gentler pursuits there are plenty of medieval buildings and historic houses to explore. 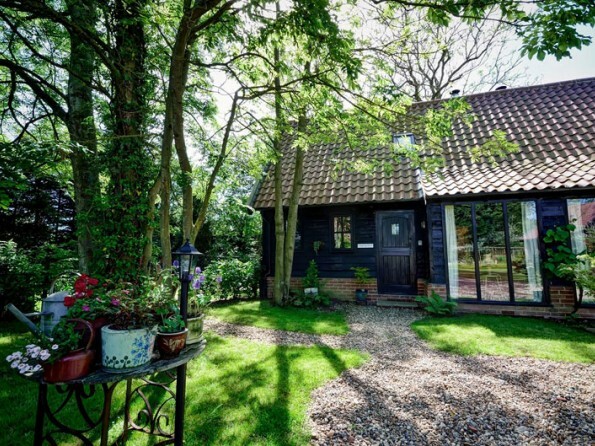 The Heritage Coast, just half an hour away, is truly picturesque and has the well-known tourist spots of Aldeburgh, Orford and Southwold dotted along it. 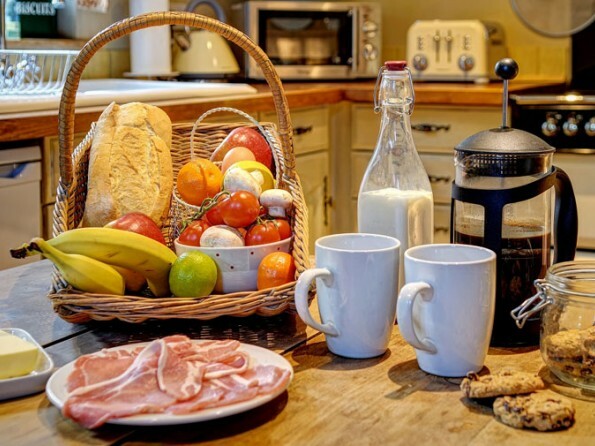 Or you could discover the awe-inspiring scenery of Dedham Vale, go shopping in a local craft and farm shop, or sit back in one of the many superb pubs and eateries on your doorstep. 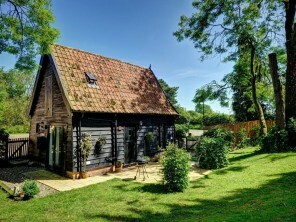 The cottage is 5 minutes from the A140, along the A1120 Suffolk Tourist Route in Stonham Aspal. 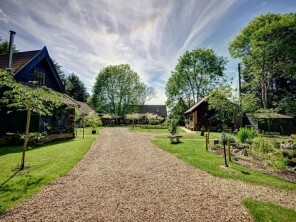 Go past the Church on your right, the village School & Ten Bells pub on your left, take the first right, signposted Crowfield Church. 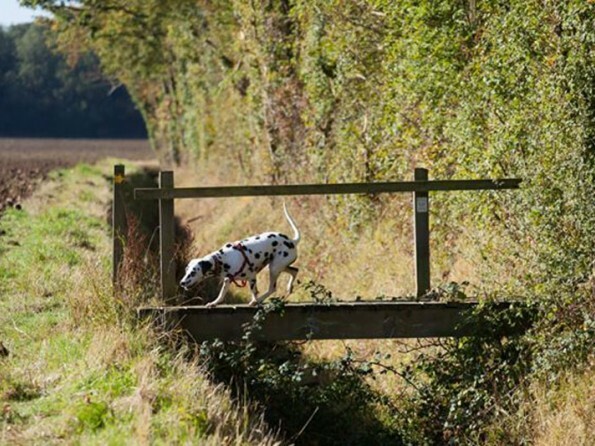 We are almost a mile down the lane on the right hand side. 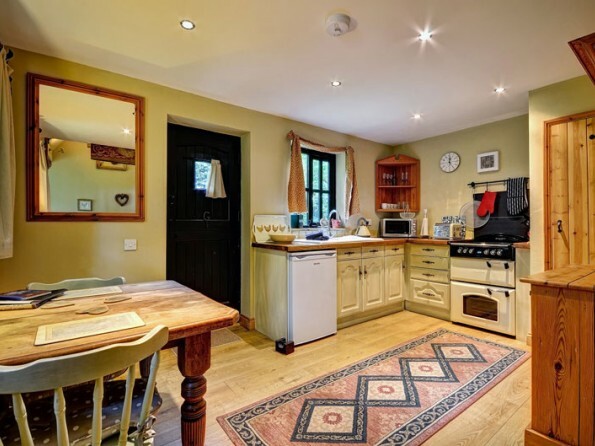 You enter the cottage via a farmhouse-style kitchen with a stable door, an antique table and all the mod cons. 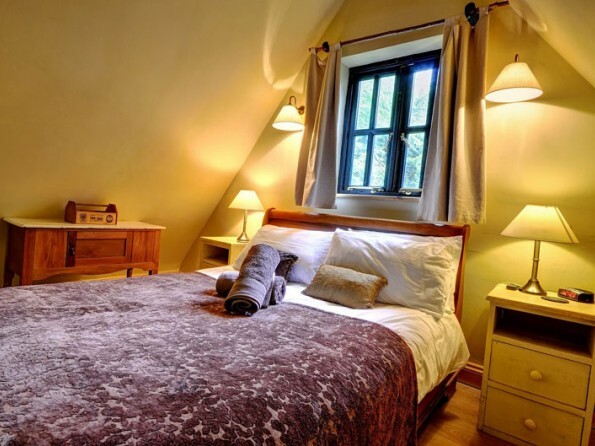 This leads through to a living area with a bay window, a log fire, a TV/DVD player and an iPod dock, and on the mezzanine level there is a charming bedroom with a wooden sleigh bed. 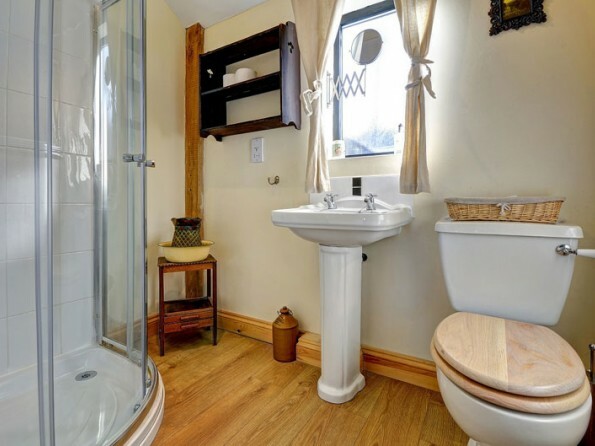 There is a bathroom with a ‘watering can’ style shower on the ground floor. 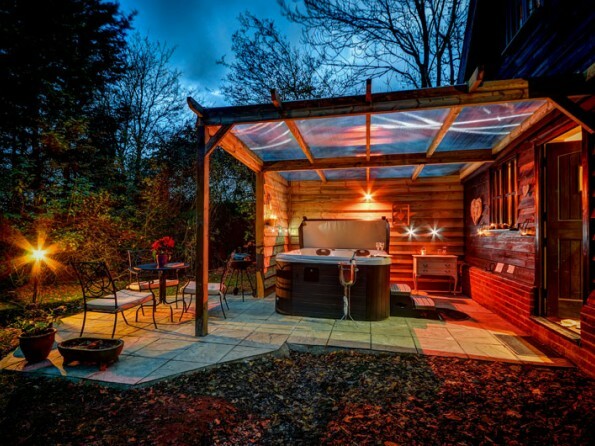 Outside there is a large enclosed garden with a BBQ, dining furniture and a wonderful indoor-outdoor room with a private hot tub. 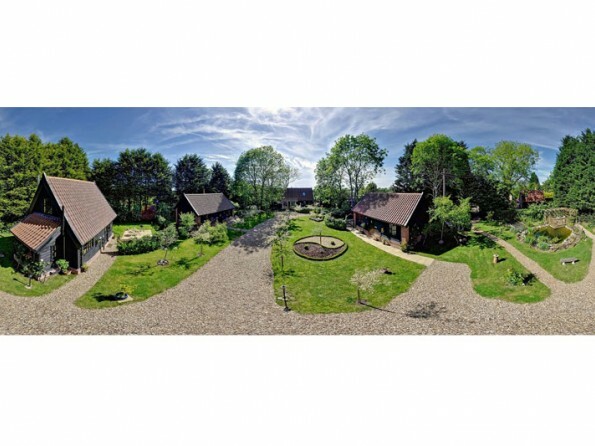 There are other cottages on site, all of which are set within the trees around a pond and a communal decked area.